New study suggests a wide variability in compliance with quality measures in the treatment of stage IIIA non-small cell lung cancer. A new study suggests a wide variability in compliance with quality measures in the treatment of stage IIIA non-small cell lung cancer (NSCLC), and further that the survival rates of patients with stage IIIA NSCLC who underwent surgery increased more than 3-fold for those who received 4 quality measures as part of their care.1 The study, which was presented at the 96th American Association for Thoracic Surgery (AATS) Annual Meeting, showed that only 13% of almost 8000 eligible patients received all 4 interventions. Current guidelines from the National Comprehensive Cancer Network (NCCN) and American College of Chest Physicians (ACCP) recommend that patients with operable stage IIIA NSCLC should receive induction chemotherapy (with or without concurrent radiotherapy) followed by resection if there is no apparent progression of disease. 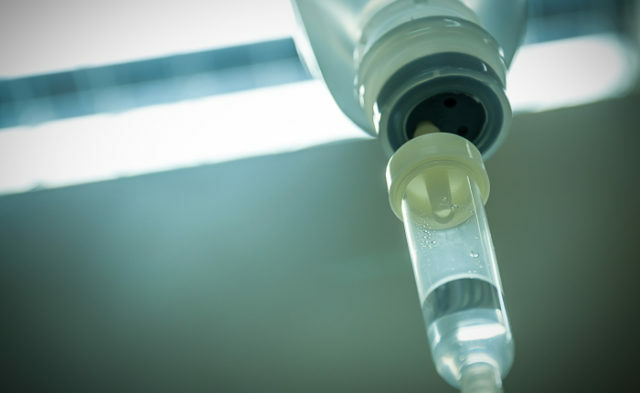 While 4 quality measures have been associated with improved overall survival (OS), it was until now unclear to what extent patients are actually receive these measures. “As only approximately 15% of patients in the United States receive surgical resection for clinical stage IIIA NSCLC, we were concerned that this subgroup may be receiving disparate care,” said study investigator Pamela Samson, MD, a general surgery resident, PGY-5 at Washington University/Barnes-Jewish Hospital in St. Louis, Missouri. Dr Samson and colleagues analyzed data from the National Cancer Data Base to identify patients with stage IIIA NSCLC who underwent surgical resection from 2006 to 2011. This database is a joint collaboration between the American College of Surgeons and the American Cancer Society. It contains patient, tumor, and treatment data for approximately 70% of patients with cancer receiving care at Commission on Cancer–accredited centers. The 4 quality measures investigated were neoadjuvant multiagent chemotherapy, lobar (or greater) resection, sampling of at least 10 lymph nodes, and R0 resection.